March and April are usually filled with art events. And this year is no exception. As a result, I always seem to over book myself. But, when an opportunity presents itself I just can't seem to say no. Dear friend and extraordinary artist Susie Cassens has coordinated a show to be held in Ft. Pierce at the Plats/Backus House, 122 A.E. Backus Avenue. I lived in Ft. Pierce for almost 20 years, studying with A.E. "Beanie" Backus in this very same house/studio. So, when invited to participate, I jumped at the opportunity to return to the place my career as an artist took roots. The Opening Reception for "Florida Frontiers by Florida Women" is 5:30 - 8 PM Thursday, March 1. Another Special Open House will be 11 AM - 2PM Sunday, March 4. I will be at both of these receptions so please come by, I would like to personally show you my newest work. The show/sale will hang March 1 - 30. 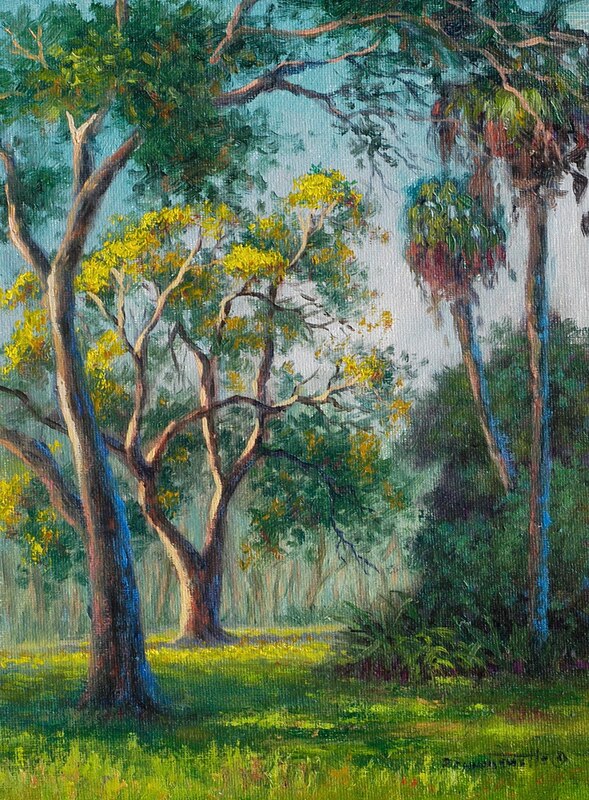 The painting posted here is titled "Tabebuia at Backus Park". The park is on the Indian River Lagoon behind the Backus Museum and will be in the show. I painted it during a Plein Air Invitational. This is just the first show in March. Tomorrow I will post about the wonderful Wekiva Plein Air Invitational. So stay tuned. OOps! I thought I had posted this! 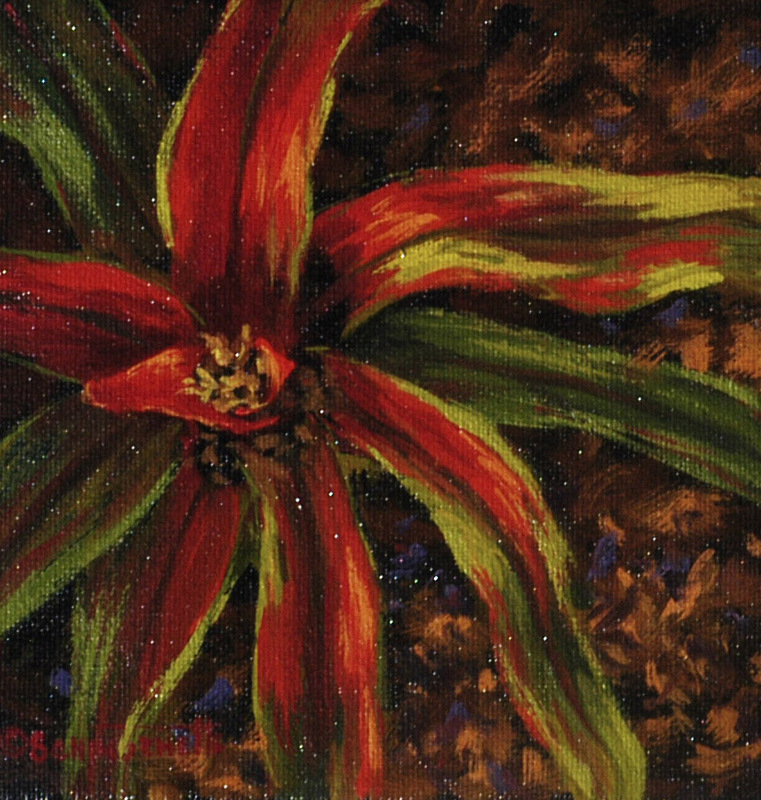 Tomorrow is the last day to bid on my painting titled "Bromiliad", 6 pm Tuesday, February 21. The current high bid is $50.00. This is was painted from photos I took at the Polesak Museum in Winter Park. 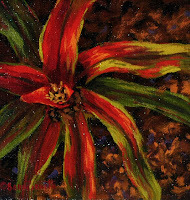 It is painted in oil on gallery wrapped canvas, 5" x 5" x 1 1/2". No need to frame. This weeks auction is titled "Lazy River", 4"x6" painted in oil on panel. 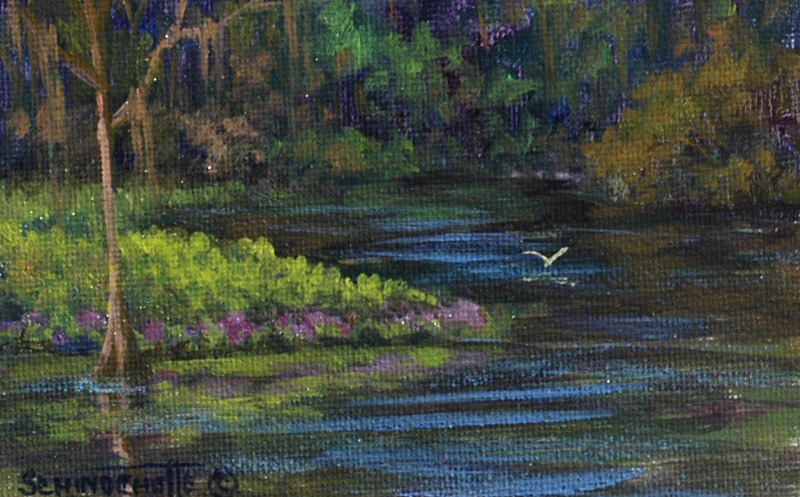 It is a study I painted at one of our north Florida spring fed rivers. As always, bidding starts today at just 99 Cents and ends 6 PM Tuesday February 14. Contact me with your bid and watch this blog for updates.